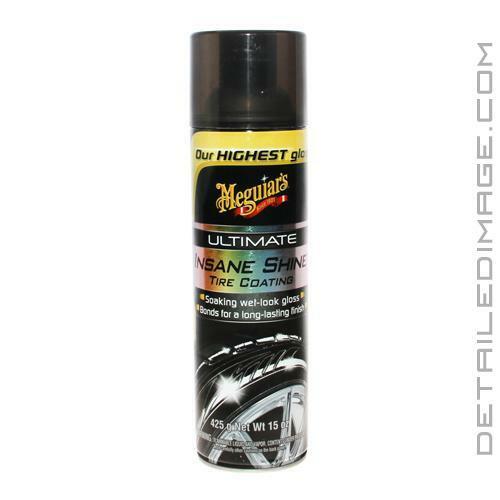 The Meguiar's Ultimate Insane Shine Tire Coating is an easy to apply, spray on, dressing that will leave a glossy protective layer on your tires! Simply take the aerosol can and spray onto your desired area. 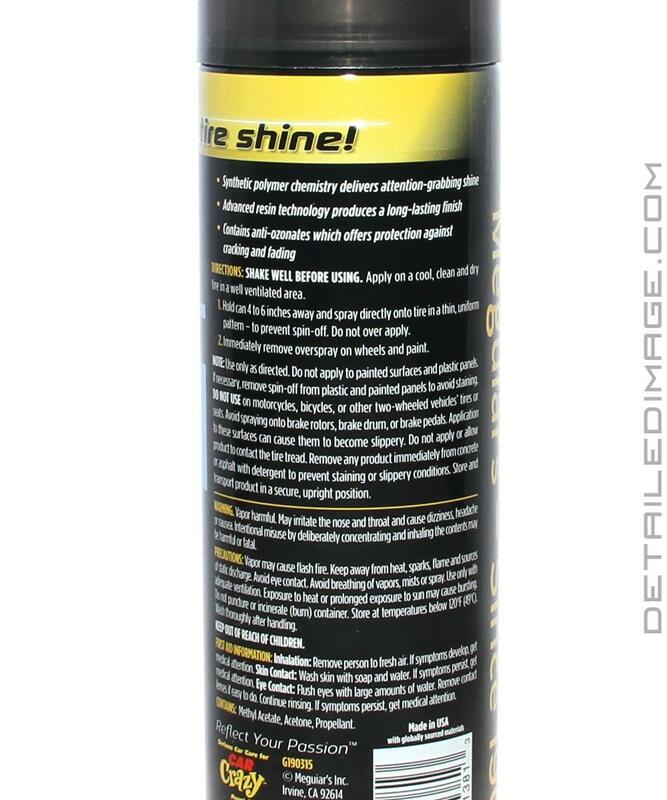 Ultimate Insane Shine will level out, so you will not have any streaks or uneven application marks. Just spray on and in seconds you will have an incredibly glossy finish that will have heads turning. Meguiar's also packs this formula with antiozonants which help your tires resist fading and cracking. 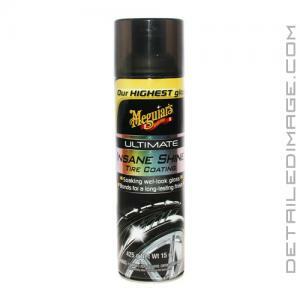 If you really want to make your tires shine, the Meguiar's Ultimate Insane Shine Tire Coating is a fantastic choice! SHAKE WELL BEFORE USING. Apply on a cool, clean and dry tire in a well-ventilated area.